Delivering integrated clinical trial services including analytical & research services, formulation development, clinical manufacturing, packaging, distribution, logistics and IRT services at scale, from our state-of-the-art facilities. Our clinical manufacturing capabilities includes tablets, liquids, creams in a range of dosage formats as well as over-encapsulation & placebo manufacturing. Excellence in the design & delivery of pharmaceutical packaging solutions in multiple formats including injectables, blisters, bottles, pouches, stick packs and thin film. Leverage our expertise in innovative technical solutions including serialization, design engineering, IRT Services and our XPReS project management methodology. Sharp has completed its relocation to this $23m state-of-the-art facility to offer our customers greater capacity and an expanded service portfolio, all under one roof. 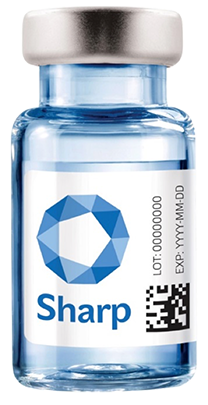 Sharp UK, based in South Wales, is the European hub of our Clinical Services division. The team has been providing clinical trial supplies packaging, labeling and distribution services since 1988. Building 4 at our Allentown Campus is our Biotech COE specializing specifically injectables packaging solutions. Building 1 at our Allentown Campus has 180,000ft2 of Current Good Manufacturing Practice product packaging space. Our Belgian site has over 50 years’ experience in pharmaceutical packaging and specializes specifically in injectables packaging. Our Conshohocken site has been in operation since 1952 and is known for its high-volume blister packaging capability. Our Netherlands sites offer over 4000m2 of packaging space, with potential to double this area within the structure of the existing Heerenveen building. Our Phoenixville site offers specialist Clinical services including analytical formulation, formulation development, clinical manufacturing, packaging & labeling, IRT solutions. The Sharp Story - Our Capabilities and Experience from Sharp on Vimeo.